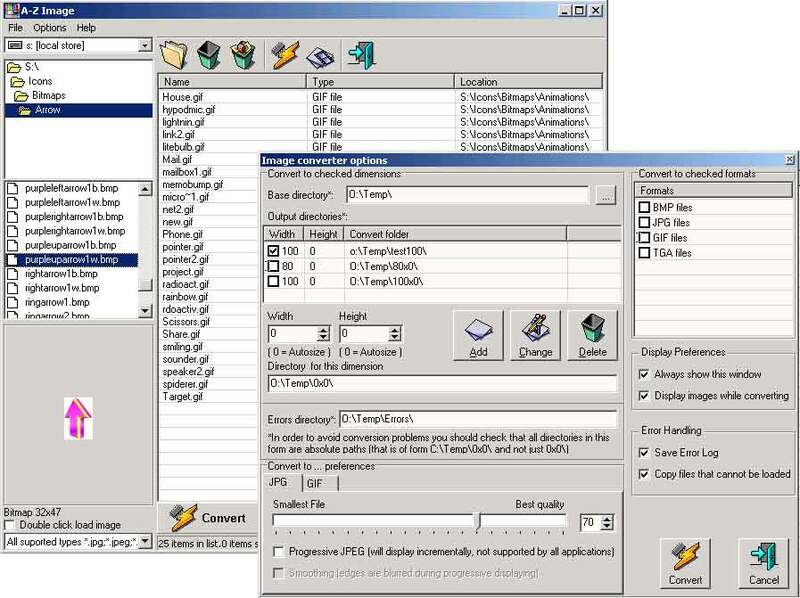 A program to quickly convert between several image formats. It can handle huge amount of files, resize and correct quality on the fly.More it can create even animated gifs from you files.AZImage is a powerful image converter that allows you to convert images, like your digital photos, from/to 5 most popular formats: BMP, JPG, GIF, TIFF and PNG and eventually upload them to your Facebook or Google Picasa Account! Qweas is providing links to AZ Image 2.5.3.2 as a courtesy, and makes no representations regarding AZ Image or any other applications or any information related thereto. Any questions, complaints or claims regarding this application AZ Image 2.5.3.2 must be directed to the appropriate software vendor. You may click the publisher link of AZ Image on the top of this page to get more details about the vendor.